Upon hearing about Asha Mandela and her record for the longest locs in the world, we here at 2Kinky Ladies just HAD to get an interview to hear her story and learn of her hair care methods to share with all of our lovely naturalistas! I, myself, find her extremely inspiring in both hair and fashion so I was superhero excited to score this interview. I hope you enjoy it as much as I did. I understand you hail from Trinidad & Tobago, what is the natural hair scene like there? 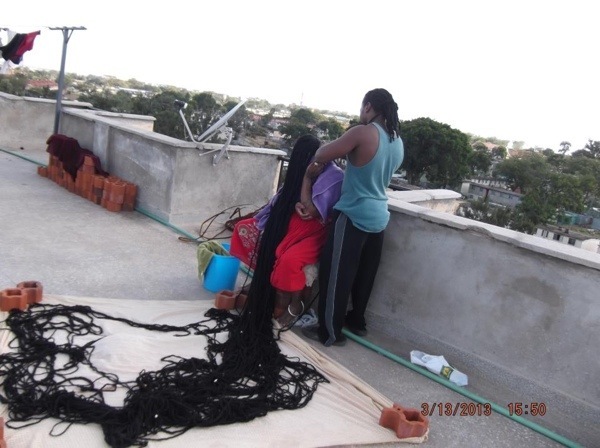 The natural hair scene in Trinidad…based on my opinion, is yet to come to consciousness like we are here in the US. 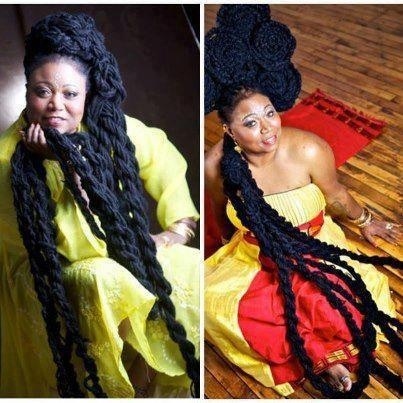 Besides the Rastafarians which have been around forever, and has increased a lot..there are quite a number of people who have gone natural…but over all most people are still very colonized and into weaves and braids. How long have you been natural and what inspired you to grow out your natural hair? This month, March, I celebrate 25yrs of going natural. 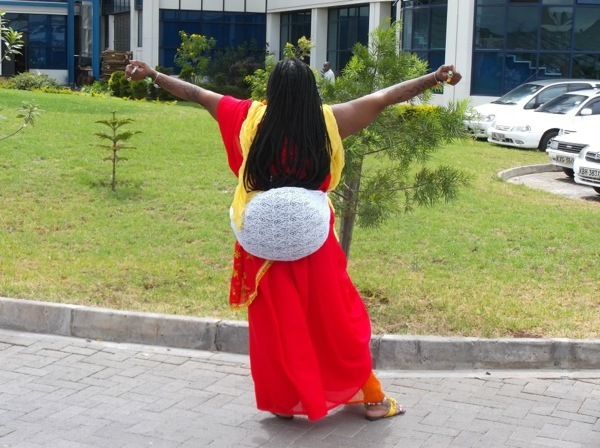 Though a lot of my inspiration came from the Rastafarians and their humble dedicated way of life, My going natural was more of a spiritual calling…a path that was laid before me by my ancestors. In the beginning I was not very happy about this “calling” since I was totally into weaves and braids and a partying lifestyle.. and really knew nothing about growing locks and what this journey entails. It took about 6 months fighting within myself to fully embrace and come to terms with the spiritual gift that was given to me…and beginning this new journey. 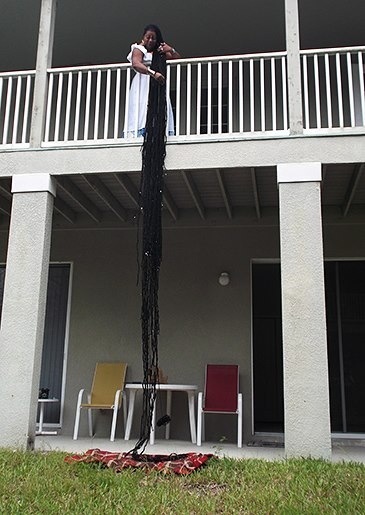 You have over 19ft of gorgeous, healthy locs. Wow! Can you describe in detail your hair care routine? My hair care routine has always been simple. I wash my baby only once a week with my peppermint shampoo, but daily I massage my roots and scalp with my Growth Renew Oyl and groom with my kurly lox butter. Also once a week, I soak my tips with warm growth renew oil to protect it from stripping and breakage…once a month I also do a heat/hot oil treatment to lock in the moisture in my scalp. I only retwist for shows, interviews or photoshoots…Over all I think my baby is lovely because not only do I cuddle and talk to my baby like some people talk to their plants, but I try to maintain a healthy diet which includes drinking lots of water along with taking added supplements of calcium and Zinc. What was the biggest challenge you faced once you went natural? Did you encounter any emotional struggles in your journey? Though it took me a good 6 months to adjust and accept the gift and challenges laid before me, The first 9 years into my Journey was very smooth. However as I was approaching my 10th year, I suffered an on the job injury (I worked at a hospital in New York) and got kicked in my chest by a deranged patient which led to 13 yrs. of medical problems and challenges. I was advised by doctors, friends and family that it would be in my best interest to cut my hair. They felt it was a health hazard and life threatening rick especially since I was having so many surgeries. 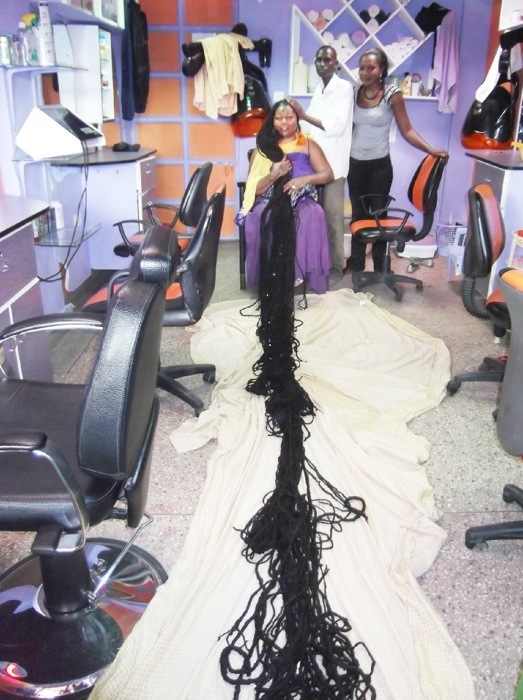 The struggle was enormous and the temptation to cut my locks was an everyday battle. Overall, I took a stand that my locks journey was that of a spiritual nature and not style and fashion… It was mighty hard to care for my baby and care for myself which entailed 13 surgeries, 2 mild stroke, double mastectomies, and 2 mild heart attacks. My determination and perseverance paid off and here I am today celebrating 25 yrs. and ready for another 25 yrs. For the first 22 years of my journey, I groomed and cared for my baby all on my own, I never really wanted anyone else’s hands or energy in my locks… so I would refer to my baby as “home grown.” As a matter of fact, due to my locks being of a spiritual nature, I never took lots of pics nor was my head exposed, it was always wrapped in a turban like the “buba dreads.” After I became certified as having the World’s longest locks by GWR (a closed category) and RIPLEYS Believe it or Not, everyone thought I should be a bit more groomed so I found a wonderful lox specialist to set out to get creative for a photo shoot and that’s how the unique loxstyles came to light about 2 yrs ago. I am really not into all the different styles since its very time consuming and can be a bit uncomfortable but over all I don’t mind getting my baby styled for photo shoot. Do you ever think about cutting a few feet for convenience or get weary of having to care for so much hair? During my medical challenges, I thought of surrendering and cutting my hair. Once I stood my ground and overcame those challenges, I knew that cutting my hair would never be an option. My journey is spiritual and I absolutely love caring for my baby, I will never get weary of caring for my baby nor will I ever cut my hair. It’s a journey I will endure to infinity. How do you feel you benefit the natural hair community? My benefit from the natural hair community is knowing my strength and determination is seen and felt. Many naturals tell me I am their locks inspiration for either not cutting their locks or finally embracing themselves and the decision to go natural proudly. I am loved, appreciated and respected by everyone. What do you think is the biggest morale boost about your hair? How do your family and friends feel about your hair and the popularity surrounding it? When I first started my journey 25 yrs. ago, my friends and family were totally against it, especially my mother. My mom told me she could not believe after all the years she groomed my hair using lard and Vaseline…LOL..LOL.. I insulted her by turning my hair into a live mop…LOL… It took 5 years into my growth and journey for everyone to finally start coming around and accepting the “new” me and stand with me in support. As the years went by, I became the example of the strong determined one in the family. Now 25 years later, my mom, family and friends are so proud and supportive of me and my success and they are always in awe of the popularity surrounding me and my record breaking lox…. Its historic. I love your style from the jewelry to the dresses and saris. Do you feel your outward appearance as far as fashion was influenced or altered by your decision to go natural? 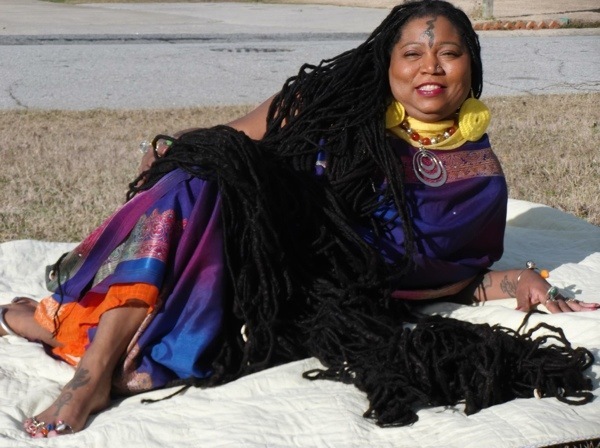 My outward appearance was definitely influenced and altered by my decision to grow locks….Part of the spiritual calling came from Hinduism and the other half came from Orisha/Shango/Yoruba . 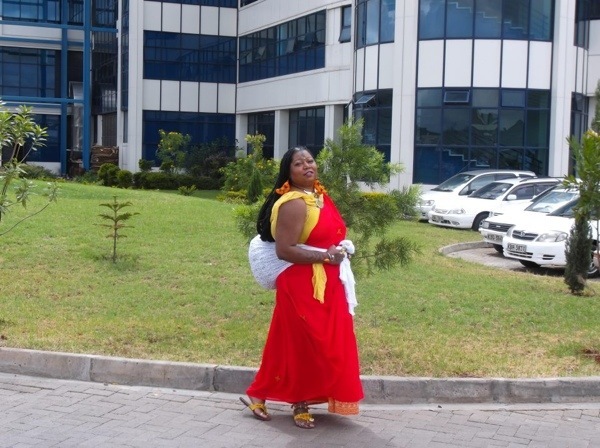 I entertain and embrace both “worlds” and with that came the attire of Sari’s blended with the influence of my Afrikan religion and culture… it’s a huge turn around from my days of braids, weaves. Shorts skirts, tight jeans and spandex. Oh wow I am so happy I was a chosen one for this journey, I won’t change it for nothing or no one. I am historic and blessed. 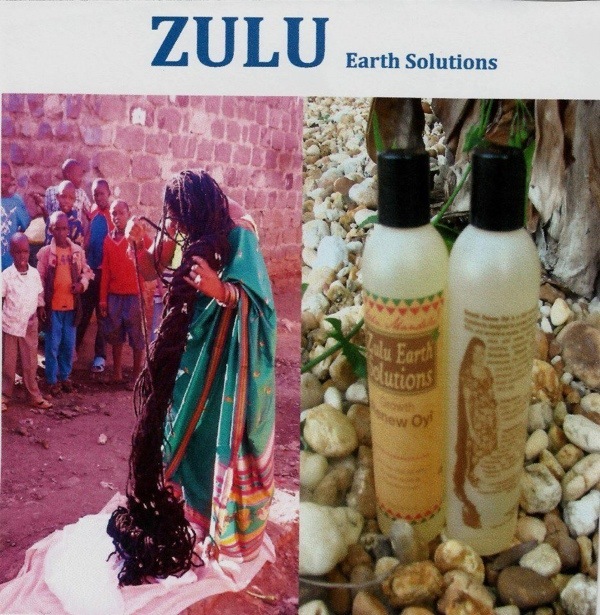 What an excellent post about Asha Zulu Mandela’s Hair Care secrets. 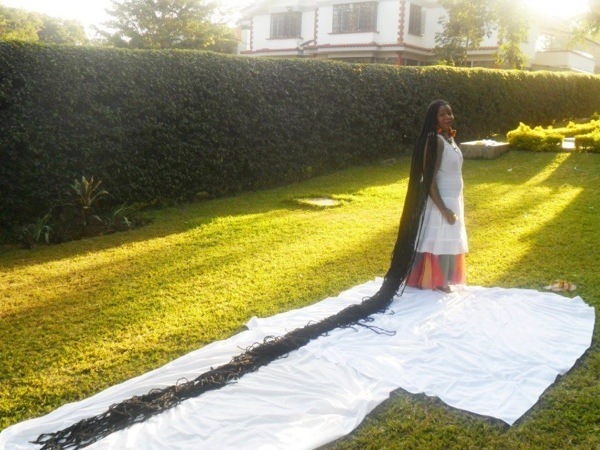 I’ve never seen before such kind of longest hair. I like to say thanks for sharing such kind of information. Wow. I have been talking about locs all week. I think she should cut them if they are causing her medical problems. Her health should come first and she has plenty to spare. Now I seen her on tv talking about neck and back pain. Won’t cut some of it to stop it. She is someone I don’t know if I could be happy about. But it’s her life to live. I imagine there would be neck and back pain between the updos and washing. I know my neck and back ache after washing, in particular. What she has accomplished is rare and historical so I don’t blame her for continuing the struggle.